Frozen yogurt (also spelled frozen yoghurt; also known as frogurt or by the trade name Froyo) is a frozen dessert made with yogurt and sometimes other dairy products. It is usually more tart than ice cream, as well as being lower in fat (due to the use of milk instead of cream). It is different from ice milk (more recently termed low-fat or light ice cream) and conventional soft serve. Unlike yogurt, frozen yogurt is not regulated by the U.S. Food and Drug Administration (FDA) but is regulated by some U.S. states. 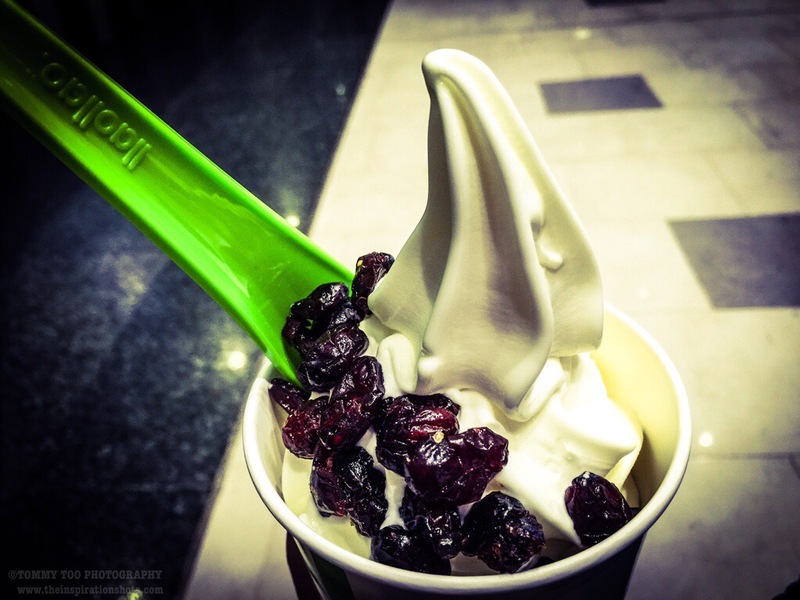 Frozen yogurt may or may not contain live and active bacteria cultures. People have been eating plain yogurt for over four millennia, particularly in the Middle East and India. Yogurt was brought to the U.S. in the early 1900s and steadily increased in popularity as a health food item over the next several decades. In the 1930s Dannon began selling prepackaged yogurt for the first time in the U.S. By the 1970s, with the popularity of ice cream surging, freezing and production technology was transferred to the production of frozen yogurt. Many consumers, however, complained about the yogurt taste. Capitalizing on consumer demand for a sweet product that tasted like ice cream but was healthier, TCBY opened its first store in 1981. Unlike previous pre-packaged versions introduced earlier, TCBY’s yogurt was soft-serve dispensed at the point of sale through a machine. TCBY became the largest frozen yogurt franchise in the world at that time. As others saw the success of TCBY, frozen yogurt took off in the 1980s, reaching sales of $25 million in 1986. Brands such as Colombo, Nanci’s, and Miss Karen’s came to prominence around that time in the United States and frozen yogurt was 10% of the frozen dessert market accounting for over $300 million in sales by the mid 1990s. Demand for frozen yogurt slowed considerably in the late 1990s as Americans turned their attention to high-protein, high-fat diets. Low-fat foods such as frozen yogurt fell out of favor as food trends favored higher fat and lower cost ice cream at the turn of the millennium. Trends changed back to frozen yogurt in the mid 2000s with the advent of live probiotic powder-based mixes invented by John Wudel, pioneer of alternative sweeteners in the frozen dessert industry. Dry base mix made frozen yogurt accessible in many countries outside the United States for the first time. In 2005, a small retail shop in California named Pinkberry introduced a new extra tart variety of soft-serve frozen yogurt to the market. This new euro tart flavor along with the opening of numerous other self-serve yogurt stores all over the western United States led to a resurgence of interest and demand for frozen yogurt all over the world. Consumer demand for tart frozen yogurt reached unprecedented levels by 2013 all over the United States and many other countries marking a stark contrast to tart frozen yogurt’s initial reception in the 1970s. Posted on September 7, 2016, in iPhoneOgraphy 366, Photography and tagged #iphone6plus, #iphoneography366, #photography, frozenyogurt, photooftheday. Bookmark the permalink. 6 Comments. Nice post. Good information on Frozen yogurt!